MOST COST EFFECTIVE FORM OF ADVERTISING WITH YOUR PROMOTION OR BUSINESS DETAILS CONSTANTLY ON THE MOVE FOR ALL TO SEE! Stand out from your competitors by using your car, truck or van to promote your business. Having quality signage on your company vehicle can be the difference between whether or not a potential customer gives you a call. Vehicle signwriting is our speciality from design through to application. 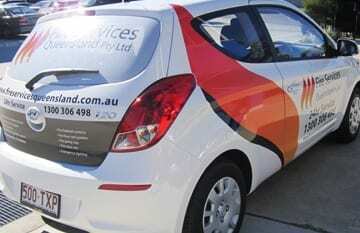 Over the past 12 years, we’ve applied signage to over 1000 vehicles. There are many options available to suit all budgets and vehicle types. 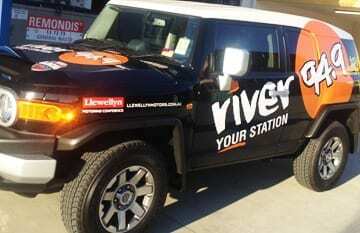 We have completed many vehicles for River 949. Another one of various completed fleet graphics. [VIDEO] – Black vinyl graphics to the this ute, looks great!